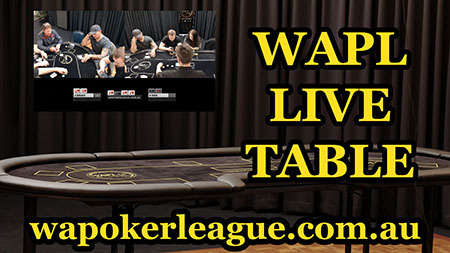 Introducing the WAPL Live Table! Watch us play! 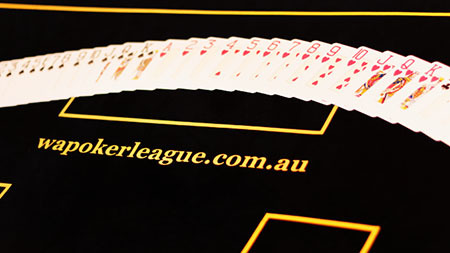 11 years ago, when we started WAPL, we (with the help of life member Buck Hetherington) designed and created the WAPL Grand Final Table, an 8 camera inlaid table which was used to record the hole cards of players who reached final table in our Grand Finals. The footage could then be used to create DVDs for our members, to help commemorate these special events. Unfortunately, the process was painstakingly slow, manually calculating and inputting cards into the DVD creation process, for each big hand, was a nightmare. Not to mention that the table took 5 people to lift this masterpiece! 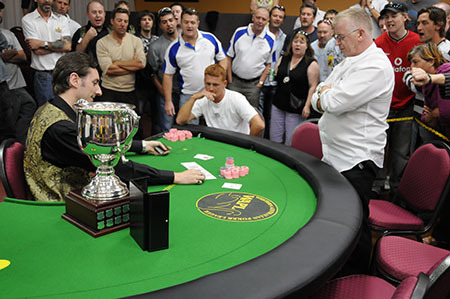 Skip forward nearly 11 years, and we are delighted to announce the creation of the WAPL Live Table, a completely custom, individual card detecting table, utilising custom cards and software to automatically identify and generate card graphics, hand win percentages, and everything you are used to seeing on television when you watch poker at the WSOP or WPT events!